The new Great Southern train will explore the incredible landscapes and experiences across Australia’s diverse South Eastern corner with this three day northbound itinerary. 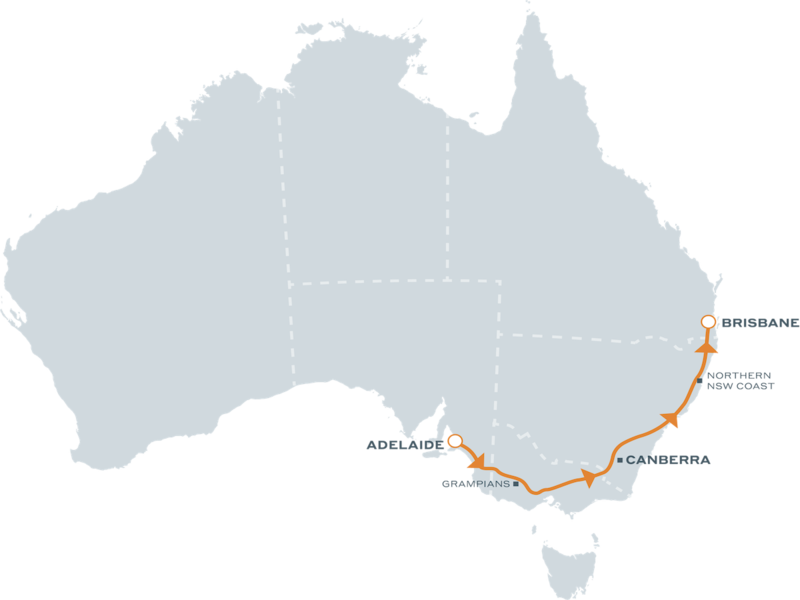 The two-night, three-day journey from Adelaide to Brisbane features opportunities to step off the train to experience the spectacular Grampians National Park, the nation’s capital Canberra, and the stunning northern New South Wales coast. Comprising 28 carriages and two locomotives, Great Southern will accommodate up to 214 guests per journey. Onboard accommodation will include the option of Gold Single and Gold Twin cabins, as well as the more exclusive Platinum cabins. Great Southern’s maiden travel season will extend from 6 December 2019 through to 27 January 2020. It will depart Adelaide on Fridays at 9am arriving in Brisbane on Sunday at 4.20pm.